David Merage arrived in Israel and decided that this time, he would mix business with pleasure. So, he invited the Knafaim team to join him on a unique teambuilding evening that included a fascinating tour in the Neve Tzedek neighborhood in south Tel Aviv. We all cleared our schedules and embarked on a tour through the alleyways of this gorgeous and distinctive neighborhood. 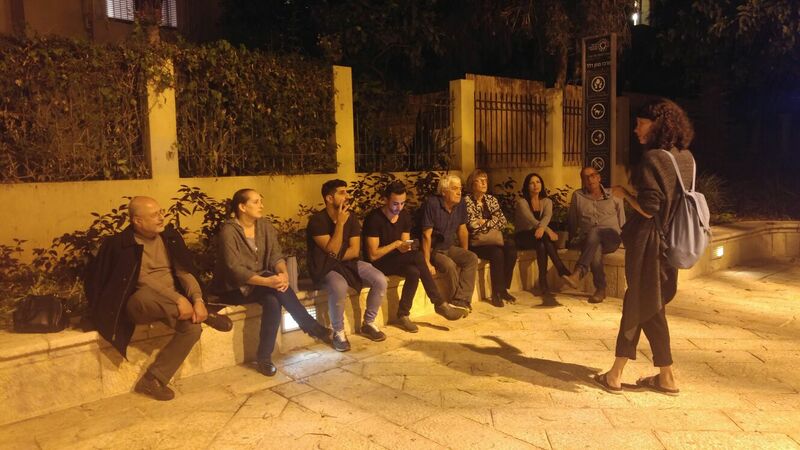 Despite the winter season, the weather favored us, and we enjoyed a lovely evening that provided an opportunity to roam with ease through the neighborhood streets and learn about its local history, a tale that lays the foundations for the Tel Avivian spirit and lifestyle we know today. Additionally, we learned of the development and growth of the neighborhood, transforming Neve Tzedek into one of the city's most expensive and remarkable residential areas. Well, history has shown that the Knafaim team "marches on its stomach", and while we enjoyed the educational tour, the stroll along Neve Tzedek's bars and restaurants simply demanded the evening conclude with a taste of its authentic food. Having whetted our appetites, and with "all roads leading to Rome", we made our sure our road led directly to the "Guetta" restaurant, where we enjoyed a Tripolitan feast and incredibly warm hospitality. It was amazing!! !